"Nourish your soul with magic!" 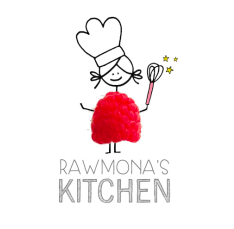 Rawmona's Kitchen was born out of Karla's love for food + belief in magic. They offer cake, cake jars, muffins + other sweet goods that are made with non-GMO, gluten, refined-sugar and artificial-anything free, sometimes vegan, and mostly organic ingredients, without compromising the taste. In fact, they taste pretty amazing.